Dealing with sewer problems in Bergen County, NJ? 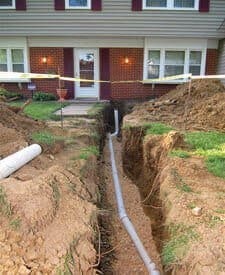 When you sewer line is clogged, broken, or leaking, you’ll need an experienced sewer repair contractor in NJ to fix the problem before it can spiral out of control. 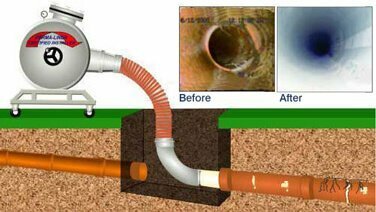 At A1 Sewer & Drain, we have over 25 years of professional experience dealing with all kinds of sewer repair services in NJ. When it comes to sewers, we’ve seen it all, from minor clogs to sewer backflow and catastrophic sewer pipe collapse. We’re available 24 hours a day, seven days a week, for immediate same-day emergency repairs. For Bergen County’s best sewer repair service, call us today at A1 Sewer & Drain. 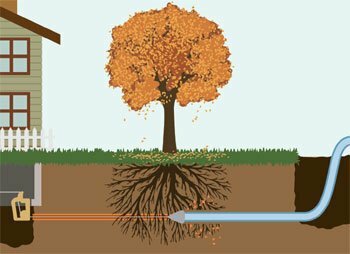 Sewer pipes in NJ can crack, fracture, develop holes from corrosion, and even be slowly torn apart by tree root growth. Damaged pipes can leak out into the surrounding soil, potentially causes your sewer line to sink downward. They’re also more prone to serious sewer clogs, and in a worst case scenario, you could find yourself dealing with sewer backflow into your toilets and drains. If you notice signs of sewer problems at your NJ home, you should call a NJ sewer repair contractors as soon as possible. Doing so could make a huge difference by preventing costly damage to your home and yard. Multiple, unremitting drain and toilet clogs. Is your bathtub flooding every time you flush the toilet? Does it seem like every single drain in your home is clogged? 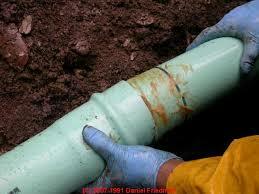 If so, you probably have a broken or obstructed sewer main line. Wet or soggy areas in your yard. A broken sewer pipe will leak out water into the surrounding soil, causing wet or sunken areas on your property. Sewer smells coming from your drains. When you have a broken sewer line, you may notice unpleasant odors emanating from your household drains. This is almost always a sign that you need to call a NJ sewer repair contractor for service as soon as possible. When you call a sewer repair contractor in NJ to fix your sewer main line, they’ll first inspect the pipes to figure out the problem. 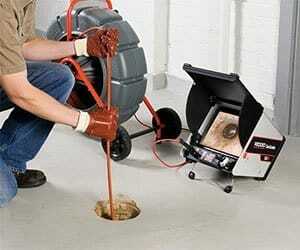 Normally, we use sewer inspection cameras to look directly into the sewer line to find the source of the problem. 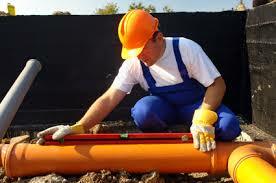 From there, we’ll let you know what your options are for effective NJ sewer pipe repair contractors. Pipe lining. This trenchless sewer technique is used by sewer repair contractors to patch up cracks and holes in a section of sewer pipe that’s otherwise mostly intact. Pipe bursting. Pipe bursting is a sewer pipe replacement technique, in which a sewer repair contractor team uses machinery to break apart a severely damaged pipe and pull a new section of pipe into place. Sewer excavation. In some cases, trenchless sewer repair may not be feasible, and excavation may prove necessary. Don’t wait until your sewer problems get worse. When you need a sewer repair contractor in Bergen County, NJ as soon as possible, call us at A1 Sewer & Drain, at 201-645-0888.